How did you get into being a wedding celebrant? Has it always been a dream of yours? To be honest, no, it wasn’t always been a dream of mine, but only because until a few years ago I didn’t know what a Celebrant was! A few years ago my best friend got engaged and asked me to be her Maid of Honour, we were busy researching all things wedding and creating Pinterest boards, when I started coming across lots of different ceremony scripts. I was blown away by how different they all were, as I had no idea that people had a choice on this part of the wedding day. Personally, I’d only ever experienced ceremonies with a very formal script, where I’ve tended to zone out or start to clock watch – waiting for the couple to kiss and to celebrate with them! I did some research and found out that Celebrants can create bespoke ceremonies as there are no legal restrictions, meaning there is total flexibility on the scripting. So, ceremonies can be personal, funny, tell the story of their relationship and reflect their personalities and beliefs. 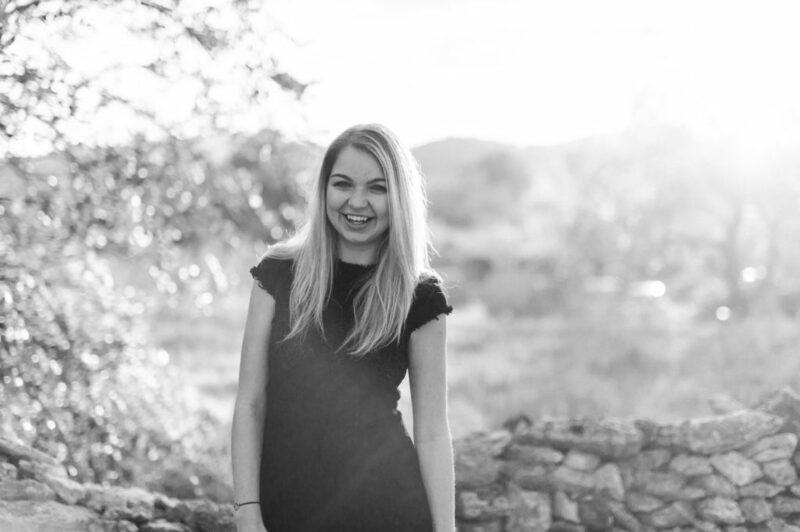 Some of my closest friends on Ibiza worked within weddings as planners and photographers, and I was so jealous that they got to spend their working days being creative and surrounded by loved up couples and their happy friends and family. (I’m a huge romantic!) So, I asked their advice, took an online course with the UK Society of Celebrants, and I started taking bookings! What makes Ibiza such a special place for you? I first came to Ibiza in 2009 and I fell in love with it immediately. I can’t quite put my finger on why or what it was that made me feel that way so quickly, but from living here I have experienced a lot of the island, and what I love the most is how diverse it is. Not just the landscape of it, but the people it attracts, how accepting, non-judgemental and accommodating it can be. It’s not something I’ve experienced anywhere else. What types of ceremonies are available in Ibiza? Is it possible for a couple from the UK to have a legal ceremony or get married in a church in Ibiza? It is possible for British couple to get married on Ibiza legally or in a Church, but it isn’t the easiest way to have a wedding ceremony here on Ibiza as they would need to meet certain requirements and submit a lot of Spanish paperwork. 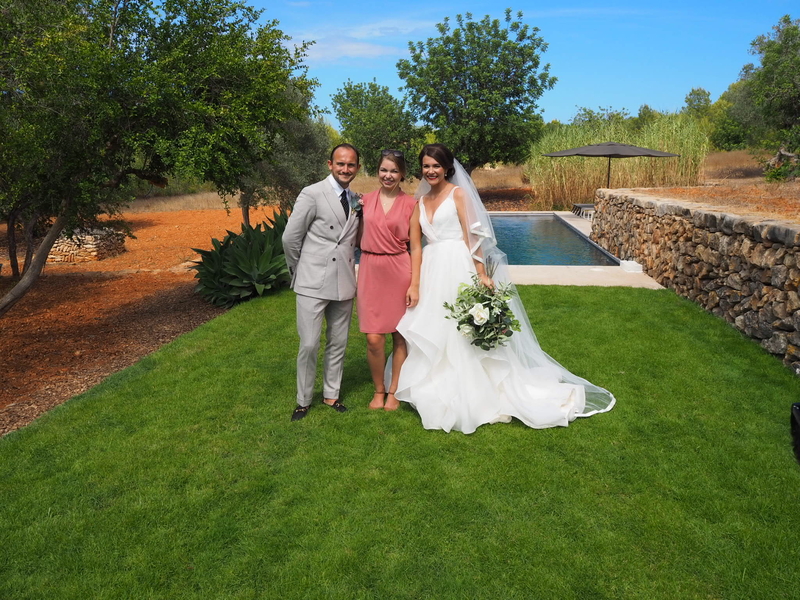 Most of the couples who I work with actually do the legalities of their marriage in the UK or their home country and have their wedding ceremony and celebration here on Ibiza. 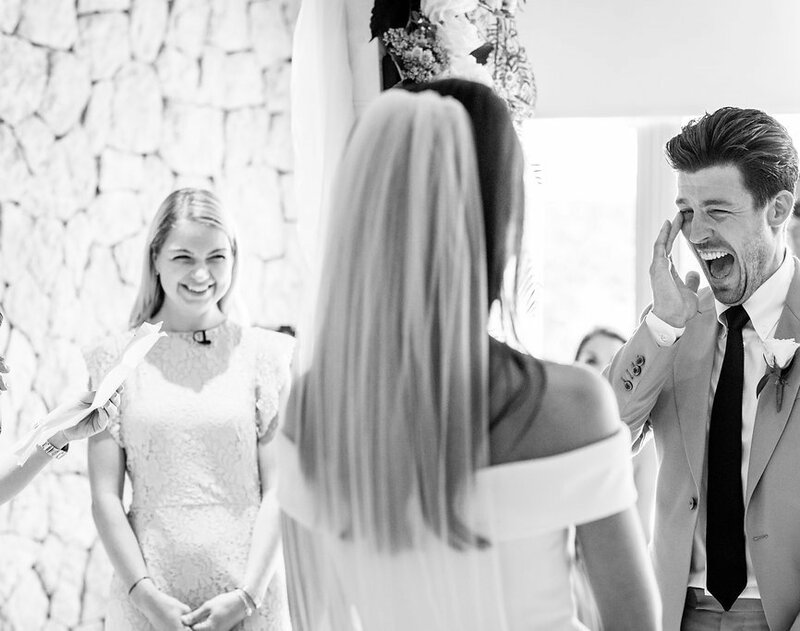 Usually, they will think of their celebration on Ibiza as their official wedding date, as this will be where they share the day with all of their family and friends. It also gives them much more freedom and flexibility when choosing their venue, as a Celebrant led wedding can be done anywhere, but a legal wedding can only be done in a town hall or a church. Why hire a celebrant? What value would you add to the wedding ceremony on Ibiza? You should hire a Celebrant if you are looking for a ceremony that is meaningful and reflective of you and your relationship, and if you want to have your wedding ceremony in a non-traditional setting. Every Celebrant has their own style, and because it’s such a key part of the wedding day it’s important to choose the one who you feel a connection with. I love for couples to be able to think of me as a friend, to feel relaxed and comfortable enough to tell me their stories, what they love about each other (and what they find annoying!) and be honest about what they want from their ceremony, so that I can create a script which really reflects them. I speak to members of their family and friends too if they’d like me to, which really helps to add depth and lots of lovely content which the couples might not think to tell me. Usually, couples don’t know where to start, or what is involved in planning their ceremony. I do a lot of research and I’m involved in different international groups of Celebrants so that I am constantly learning and able to give lots of valuable ideas and inspiration to the couples I work with. When couples book with me, I send them links to download free booklets that I’ve created to guide them through their ceremony planning, and they’re able to get in touch with me via WhatsApp whenever they have questions or ideas that they’d like to know more about. What’s your favourite thing about your business? My absolute favourite thing about being a Celebrant is hearing each couple’s story. I’ve been a fan of rom-coms since I was young, and I am crazy about a good romantic story line, so for me, to have a job which involves reading and listening to gorgeous real-life love stories is a dream come true. Of course, the wedding days themselves are a high point too! Speaking to the couple and their friends and family after the ceremony is always a wonderful moment, hearing about how it made them feel, thanking the people who were involved and having a celebratory drink with them! If you`d like to know more about weddings in Ibiza please get in touch or visit Serafina Weddings & Events.